Winter is coming and now is a great the time to start shopping for your new winter jacket. Nothing beats down for its ability to insulate you and keep you warm. It’s lightweight and incredibly cosy. After all, there is nothing worse than really feeling the chill when you are outdoors and the temperatures have plummeted! Did you realise that there are a number of elements to consider if purchasing a down jacket? 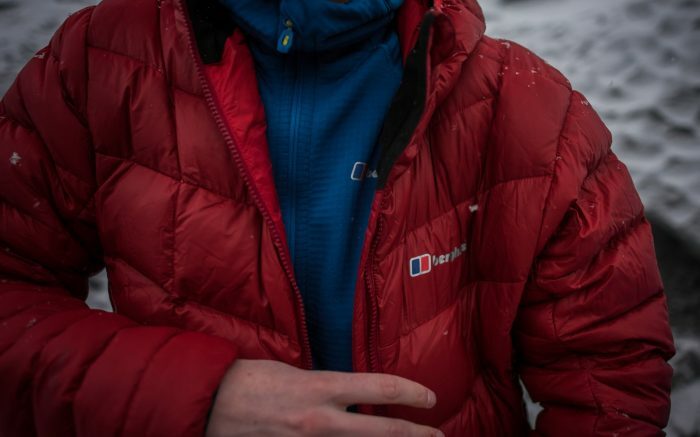 It is not just about the style, colour or fit; so to ensure you can find the perfect down jacket to suit your needs, then read on for all the advice you need. Think about where you would wear your down jacket the most. Would it be for daily use – dog walking or going to work? Perhaps it would be for regular hiking trips you may take, or because you are going climbing or skiing. High energy activities mean you should ideally have a down jacket that is relatively light, because thicker down jackets will end up feeling bulky, potentially restrict your movement and possibly make you feel too hot. Less strenuous activities would suit a thicker down jacket. This is the terminology used to describe the volume of down when it is fully lofted (that means at its fluffiest). Down works as an insulator because air gets trapped between the fibres, which in turns is what makes you feel toasty. Down jackets and other down items should always display what the fill power rating is on the item when you go to buy it. 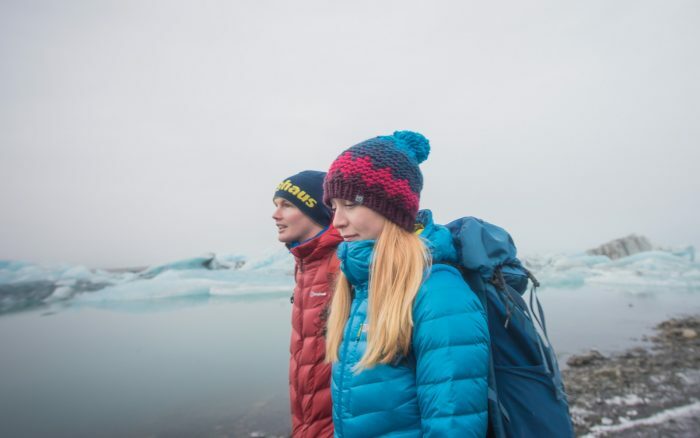 A down jacket with a higher fill power means that the down clusters take up more space and therefore are capable of trapping more air – which means better warmth to weight ratio. So a jacket with 900 fill power would be better quality than a down item containing 550 fill power down. An item weighing less means it can be compressed down and stored away (in a backpack for instance) – useful for activities such as climbing, because you need warmth, easy mobility and the ability to pack the item away compactly and easily when conditions change. However, don’t be fooled by thinking a high fill power rating means you have a really warm down item. It also depends upon the amount of down used within that item. For instance, an item that has 150g of 700 fill power would be less warm than an item that contains 300g of 550 fill power down, however the latter would be a much heavier and bulkier garment. You will find similar jackets that have a synthetic filling. How do you know which to choose? Down is a natural insulator and will provide you much more warmth, whilst being easy to compress and is also lightweight. However, regular untreated down is susceptible to water. When it rains or snows, it will absorb water, making the down clump together, making the garment heavy and making you cold. Water inhibits the properties of regular down from performing as it should and it can take quite some time to dry a down garment out and restore the loft. Synthetic fill is less expensive than down and could be considered easier to clean. It’s also a good solution if you have an allergy to down. However, this fill will tend to make a jacket heavier and sometimes bulkier than one containing down fill. Synthetic fill is less susceptible to moisture so could be considered better to use in wet conditions, yet the items will not be as warm as down and may be harder to pack away if needed. Hydrophobic down is regular down which has been treated with a water repellent coating, meaning it has an improved ability to deal with moisture. The benefit to you? 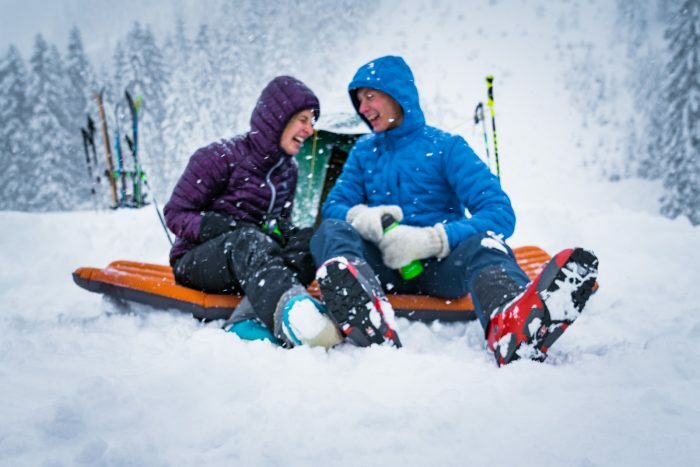 Well, you can use your down jacket or gear in a wider range of conditions that you would normally be able to and stay dry and warm when you need to most. Also, because of the technical formulation of NHD, it protects the down fill from microbial action which can actually cause damp down to breakdown – this means your down jacket will have a prolonged life! Unfortunately there are practices out there whereby down is sourced by the means of plucking the down feathers from a live bird, causing unnecessary harm and suffering to the animal. As a consumer you want to be safe in the knowledge that any down filled item you purchase is not one where the animal has suffered. This is where the Responsible Down Standard (RDS) comes into play. This is a global voluntary standard which encourages companies to certify the down products they produce contain down which has not been sourced from birds which have been subjected to inhumane treatment. RDS aims to make companies morally accountable and lead to consumers trusting in those products which are RDS certified. Respect for the animal welfare from hatching to slaughter is in place. 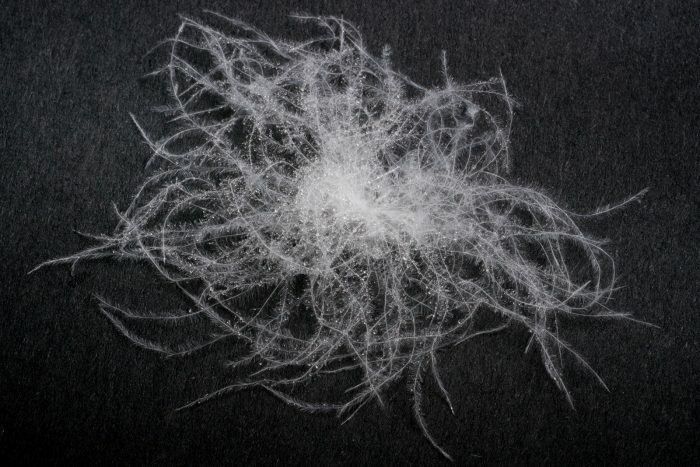 RDS down and feathers are identified – to ensure that non-RDS down is mistaken for RDS-certified. Each stage of the supply chain is audited by third party certification. Only products containing 100% certified down can carry the RDS logo. Nikwax will only work with down manufacturers who hold all necessary certification under the RDS certification systems and are audited under such systems, to ensure that the down used for Nikwax Hydrophobic Down is ethical and safely sourced. Look for the following logo to check if a down item you are interested in purchasing is safe and has followed the practise for animal welfare. Down items do need specialist care if they are to remain in their utmost condition and keep you dry time and time again. 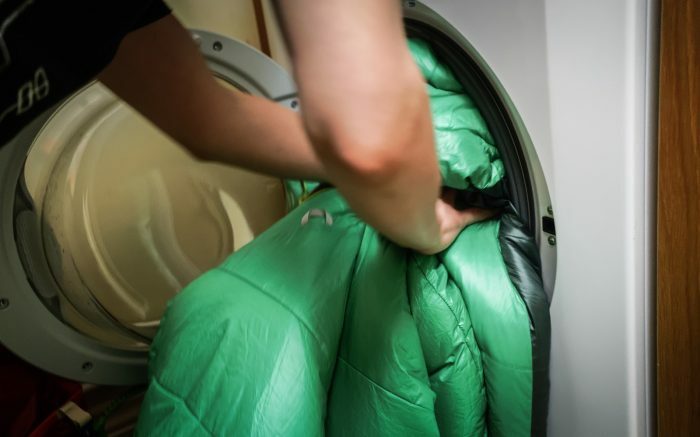 Don’t just put your down jacket in the wash with normal detergent! This could harm the down, plus you also do not want to damage the jacket by putting it on the wrong wash cycle. 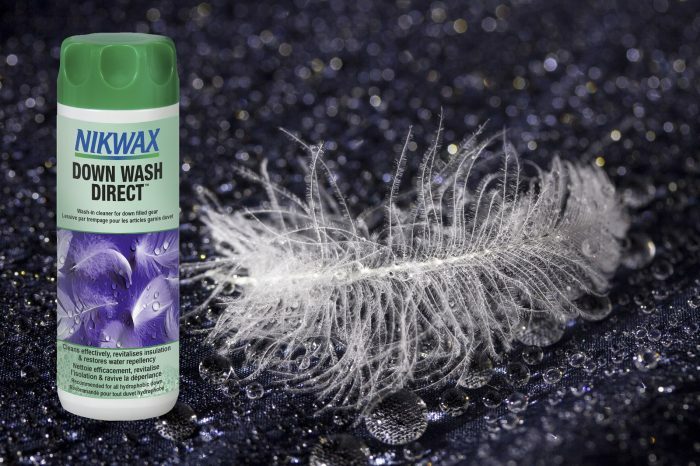 Nikwax Down Wash Direct is the specialist aftercare, created specifically for all hydrophobic and regular down filled items. All dirt and contaminants which have built up on the outer fabric and down fill of your down item will be thoroughlyremoved – this alone will revive the natural breathability of your item, whilst revitalising the insulation and, in the case of hydrophobic down, revitalise the durable water repellency. Once you need to re-proof your down jacket then Nikwax Down Proof is the high performance wash-in waterproofer that can be used safely and easily in a washing machine. It will add durable water repellency, therefore improving the natural insulating properties of the down fill. Just be sure to wash your down items on a gentle cycle, then spin dry multiple times (each time increasing the speed of the cycle) in order to remove water from the down according to the care label. Drying is key! Tumble drying is recommended, if the care label allows, to ensure it dries as quickly as possible. Down should not be left wet otherwise it could be permanently damaged. 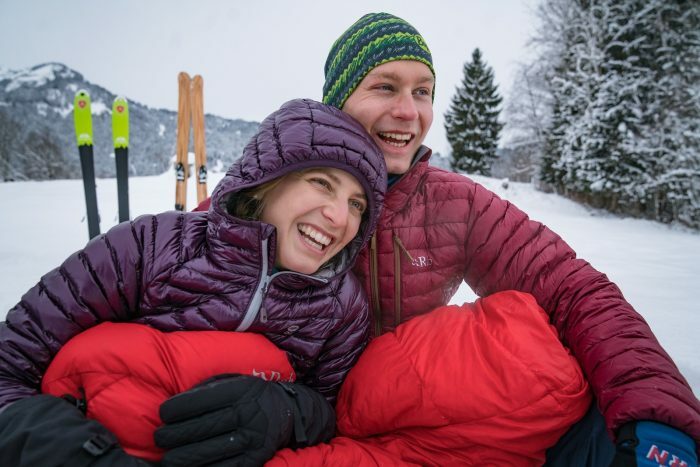 Pick the right down jacket and use the appropriate aftercare this winter and you can just get outdoors feeling warm, comfortable and dry with a jacket or gear that goes on and on.